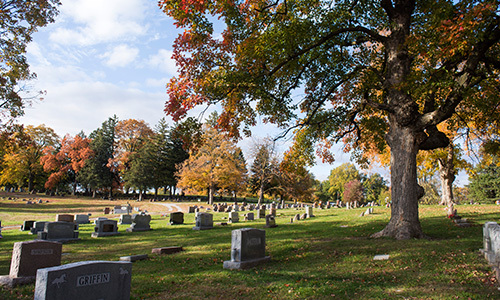 St. Joseph Memorial Park is an endowed care cemetery and the only cemetery in the area with a trust fund to adequately maintain the cemetery for perpetuity. No matter what your choice for a final resting place may be, Memorial Park provides the largest variety of options. Traditional ground burial, community or family mausoleums, private family estates, veterans section, upright marker section and our unique Whispering Pines Cremation Garden and indoor Reflections Cremation Area offer families the answers to their final wishes they seek. 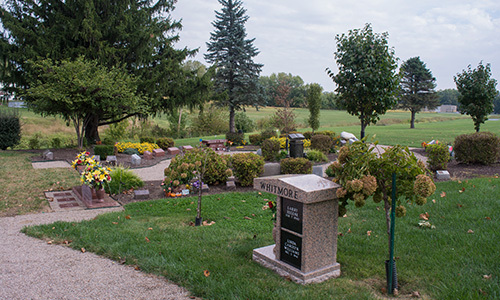 Memorial Park has burial and cremation options to fit every family in our community. For over 100 years, Mount Auburn Cemetery has provided families with a peaceful setting for their burial needs. 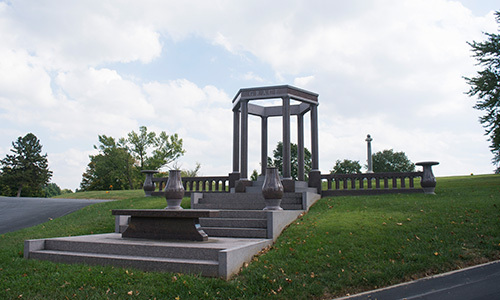 With burial spaces to fit every family’s budget, Mount Auburn offer upright and flat marker sections for burial, as well as space for private family estates or mausoleums. The Veterans Field of Honor is special section reserved for veterans and their families. A dedicated area for Veteran’s within Mount Auburn. We value the contribution you made defending our country and would like to recognize the significance of it. Permanent memorialization in the Field of Honor allows you to rest alongside your brothers in arms, and serves as a place where loved ones for generations can come to recognize your service to our country. A unique offering in our community, the only cremation garden in Northwest Missouri is designed to offer families a final resting place in a natural setting for the cremated remains of their loved ones. In individual or companion markers, natural boulders or bench estates, Whispering Pines provides many different and unexpected ways to memorialize your loved one and help tell their story. Designed in a nature walk setting with seasonal plantings, shrubs and trees, Whispering Pines is not only a place to say “goodbye”, but a place to say “hello” again. 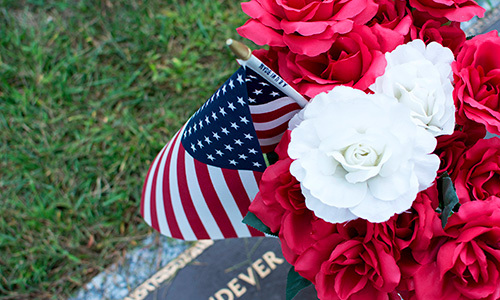 Located in the center of St. Joseph Memorial Park’s Veterans Section, Wings of Honor is a special burial section for cremated remains of veterans and their families. The area, surrounding the Veterans Memorial, is also home to our Veterans Flag Plaza. 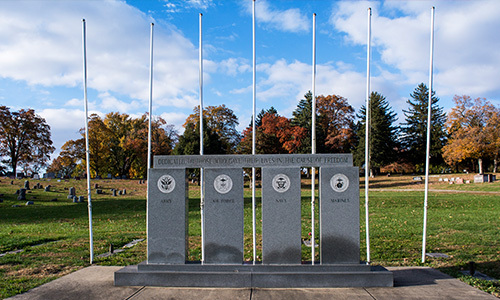 Both the Veterans Memorial and Flag Poles are available for memorialization as well. 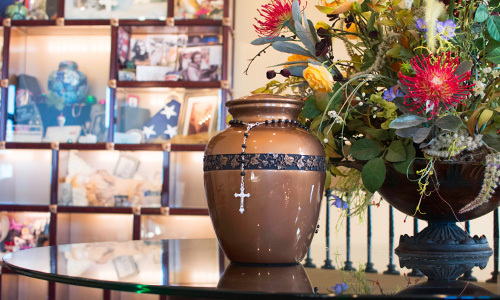 Beautiful handcraftsmanship and lighted cremation niches fill the mezzanine area of Meierhoffer Funeral Home & Crematory, providing a comfortable and climate-controlled experience. This unique memorialization option for families who chose cremation offers a unique option for families. 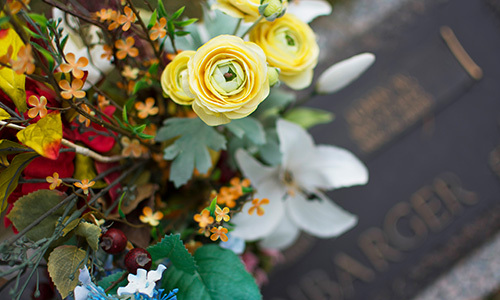 With the ability to design and decorate the urn niches, families can tell their loved one’s story in a very special and personal way. As an added feature of this area, a Free Cremation Certificate is included with the purchase of each Reflections niche. 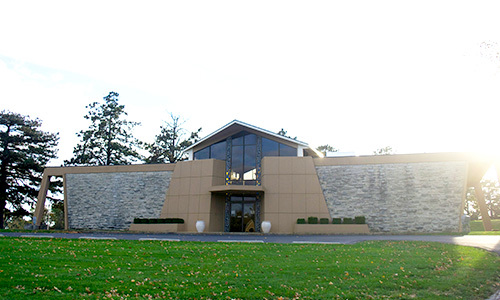 One of the oldest ways in which to memorialize a loved one, our mausoleum provides an above-ground and dry option for entombment for families. The mausoleum provides a comfortable and climate-controlled environment for visitors. Mausoleum entombment is often more economical than traditional ground burial, since the burial crypt and memorial are all included in a single price, and this type of entombment does not require a burial vault. With prices starting at $5 for placement in the Community Ossuary, this is truly an affordable option for every family. Cremated remains are placed in our underground communal burial vessel. Families have the opportunity to memorialize their loved ones with bronze plaques on nearby community markers.